As we build up to the 20th anniversary of Pokémon in February 2016 and look hotly ahead towards brand new things, we're continuing our journey through each generation of Pokémon; this month we look at the generation that encapsulated the early years of the DS era, in particular. If you need to catch up before reading ahead, be sure to check out our retrospectives on generation 1, generation 2 and generation 3. The build-up to this generation was a somewhat odd one. It all began in May 2004 when a new Pokémon was revealed to be in the upcoming movie, Destiny Deoxys. This came as a shock to most players, especially as it was the pre-evolved form of a classic, Snorlax. Soon after, Pokémon Emerald was revealed and released with no sign of it. Then, in October 2004 and hidden away in a release listing on Nintendo Japan's website, a listing for Pokémon Pearl and Diamond was placed with a planned release of Autumn 2005. As 2005 went on nothing was heard about the game but more Pokémon were revealed to tie in with that year's movie. First Lucario, then Bonsly, Weavile and Mime Jr. A special series of games was then announced to lead up to the games, called "The Road to Diamond & Pearl" which included Pokémon Ranger, Pokémon Trozei and Pokémon Mystery Dungeon, as the games had seemingly slipped into 2006. Still, little news came from the games except through a competition in CoroCoro for a person to name a move, the move we now know as Draco Meteor, and reports that the game would have full online connectivity. Then, in 2006 as more Pokémon were being revealed for the next movie, the first details of the game started to come out and then eventually in September 2006, almost four years after Ruby & Sapphire, Diamond & Pearl came out. It was September 28th 2006 and the first DS mainline Pokémon games were released in Japan, with a launch in April 2007 in the US and July 2007 in Europe. With the online features Pokémon as a series was set to come back. Pokémon Diamond & Pearl was set in the land of Sinnoh and had you play as a new trainer going through Sinnoh facing the gyms again, but this time facing up against Team Galactic, who wanted to harness the powers of Dialga and Palkia to end the world and start it anew. These games brought one of the biggest changes in mechanics to the fold. While its predecessors really overhauled the system, this generation changed things up by altering how moves are calculated. Previously, the moves were physical or special based on type, but Diamond & Pearl changed it up by making each move either physical or special. This changed how most Pokémon were to be used, with some Pokémon suddenly becoming more viable, and others less viable. The standout feature of this generation was the online capabilities. Using the Nintendo Wi-Fi Connection, players could battle and trade with other players across the world so long as they were registered in their Pal Pads. This breathed new life into the franchise. In this, they also introduced the Global Trade Station that let you put Pokémon up for trade looking for certain other Pokémon, and random players could trade you theirs. This is a feature that still lasts to this very day. As the original Nintendo DS had a Game Boy Advance slot, you could very easily transfer your Pokémon from the previous generation, and using that feature Diamond & Pearl even allowed for different Pokémon to be in the wild depending on which game is in the Game Boy Advance slot. As the generation progressed there was little sign of anything new until February 2008, when Shaymin was revealed, but with Shaymin came a new form of Giratina, which started a lot of speculation about a new game. That game eventually came in September 2008 and was an enhanced version of Pokémon Diamond & Pearl. It changed the story somewhat with the focus being on Giratina and included a mind-warping area called the Distortion World. It also reintroduced the Battle Frontier to the series as well as new forms of Shaymin and Rotom. Then, a year later, something that people had been clamouring for since the reveal of FireRed & LeafGreen came to be. Remakes of the Game Boy Color classics, Pokémon Gold & Silver were announced and released in 2009. These brought the games up to the graphical and mechanical standards in Generation IV and added a variety of features including the special Safari Zone and the Pokéthlon mini-games. It also fixed a lot of the issues with Gold & Silver such as the empty Kanto region. In this generation there were less new Pokémon than last time, with just 107 Pokémon introduced, bringing the total number of Pokémon up to 493. Unlike the last generation, however, there are more Pokémon that are related to previously introduced Pokémon than any other generation! The starter Pokémon in this generation are Turtwig, Chimchar and Piplup, continuing the tradition of the Grass, Fire and Water-typed starters, though this time each evolution goes a completely different route with Torterra being Grass/Ground, Infernape being Fire/Fighting and Empoleon being Water/Steel-type. There are also a large number of Legendary Pokémon in this generation, 9 Legendary Pokémon to be specific. First is the Psychic-type trio of Uxie, Mesprit and Azelf, which are actually included as part of the narrative. Then there are the cover legends of Dialga, who controls time, Palkia who controls Space and Giratina who rules over the Distortion World. The other Legendary Pokémon are a mishmash of backstory. Heatran is Fire/Steel and is found in volcanoes. Interestingly, it's the only Legendary Pokémon to date that can be both genders. Regigigas was introduced, being the leader of the trio from the previous generation, and finally Cresselia was a roaming Pokémon which ties in with one of the Mythical Pokémon of the Generation, and is one of the most commonly used Pokémon in the competitive metagame today. There are four Mythical Pokémon in this generation too. Manaphy was the first, and was introduced and distributed before the games were out, tying with the Pokémon Ranger games. Through those games, you could get special Manaphy eggs which then hatch into Manaphy. Manaphy can also breed with Ditto, but always results in the weaker Pokémon, Phione. Darkrai was introduced in 2007 and is a Dark-type Pokémon that can give people nightmares. Shaymin was introduced in 2008 and is a Grass-type Pokémon that can also change form into a completely different looking Grass/Flying-type. Finally, the last Mythical Pokémon of this generation is Arceus. Legends say that Arceus created the entire universe making it the Alpha Pokémon which can be any type. When September 2006 hit and Diamond & Pearl came out, the anime shifted once again into a new generation. 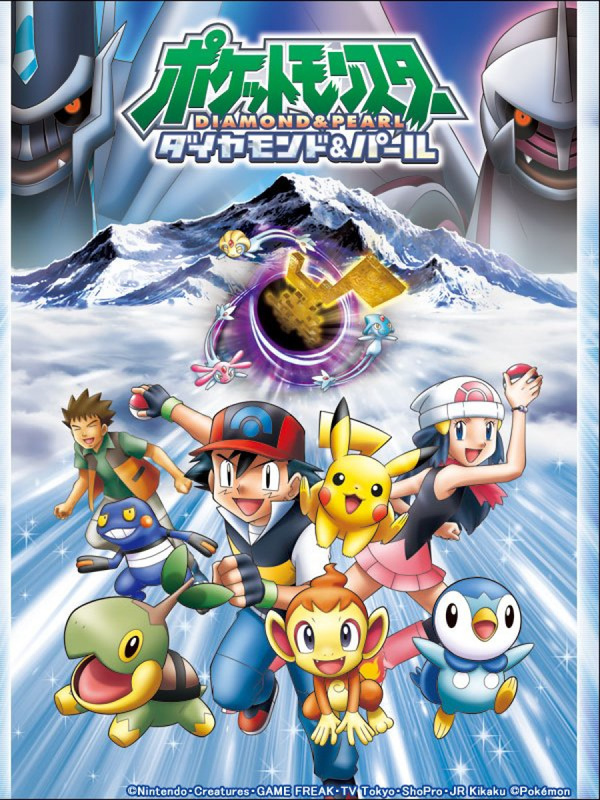 It changed its title to Pokémon Diamond & Pearl and featured Ash and Brock travelling to the Sinnoh region where they met up with a new trainer, Dawn, who is based on the female playable character in Pokémon Diamond & Pearl. Once again Pikachu destroyed their new companion's bike, this time when in a battle against Team Rocket. 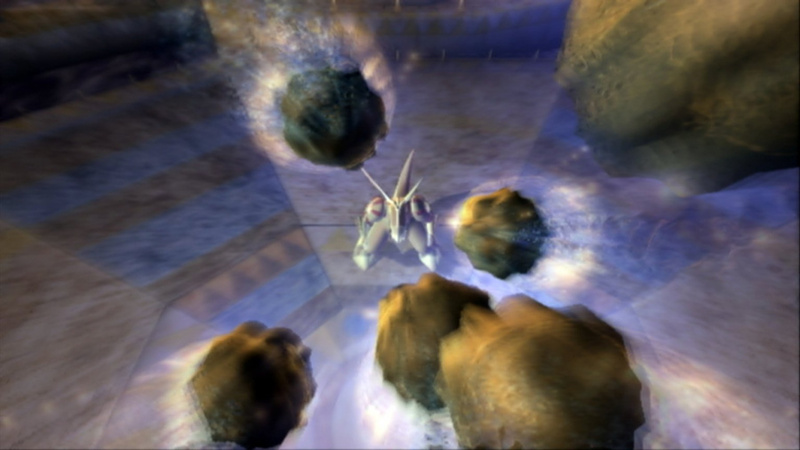 So with his two travelling companions, Ash travelled through the Sinnoh region, taking on the various gyms while Dawn entered a variety of Pokémon Super Contents, and in doing so encountered the evil team, Team Galactic, and stopped them from enacting their plans to control Dialga and Palkia. He also met the trainer Paul, who only cares about Pokémon's strengths. The Sinnoh League was a very interesting league indeed. While Ash faced off against his various rivals including Paul, the star of the entire league was the mysterious character, Tobias. Tobias was unique in that he had a Darkrai and with his Darkrai, he went through all the gyms and leagues defeating every trainer with no issues and no trainer knocking out his Darkrai. This is until he and Ash faced each other in the semi-finals. Ash was the only trainer in Sinnoh to take down one of Tobias' Pokémon, and even managed to take down his second, Latios, before inevitably losing and placing in the Top 4. There were four movies during this saga of the anime, with the first three of them linking together. The first one, Rise of Darkrai, focused on Darkrai and had Dialga & Palkia fighting within Alamos Town, but soon after that the mysterious Pokémon Darkrai steps in. The second movie of the series, eleventh overall, is called Giratina & The Sky Warrior and focuses on Giratina, who is angry at the damage down to the Reverse World by Dialga & Palkia's fighting in the previous movie. Angry, it enters the normal world where Ash & co. meet a Shaymin, which is being hunted. The third movie, twelfth overall, is called Arceus and the Jewel of Life. In this movie the fighting between Dialga, Palkia and Giratina awakens Arceus, who is angry at humans due to being betrayed by one thousands of years ago. The fourth movie is separate from the others and features the first announced Generation V Pokémon. It is called Zoroark - Master of Illusions and has Ash & Co. encountering a Zorua who has lost its mother, a Zoroark. 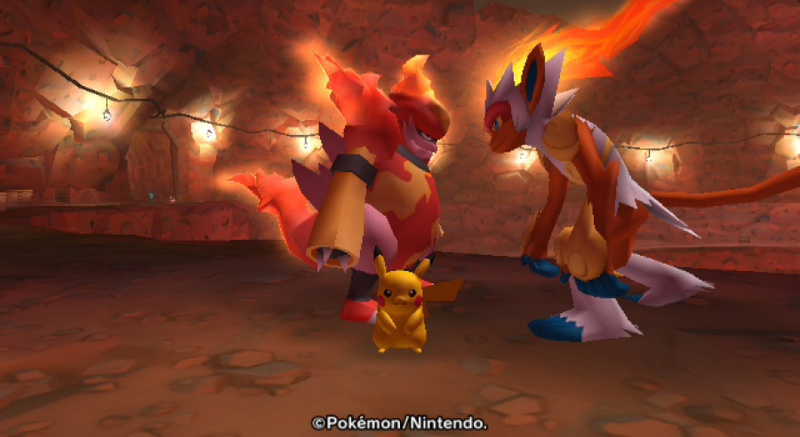 The spin-off games in Generation 4 included continuations of various series such as the Pokémon Mystery Dungeon series, as well as the introduction of a variety of new game series that continue to this day. The first of the Nintendo DS spin-off titles in Generation IV was the second set of Mystery Dungeon titles. Pokémon Mystery Dungeon: Explorers of Time and Pokémon Mystery Dungeon: Explorers of Darkness enhanced their predecessor by adding all previous Pokémon and went with an even more climatic story, and are widely considered to be the best Pokémon Mystery Dungeon titles. Then, in 2009 an enhanced version of these games came out with Pokémon Mystery Dungeon: Explorers of Sky. This game added a few new dungeons, including one focused on Shaymin, as well as various side stories to help flesh out various characters' back stories in the game. The next game was the second in the Pokémon Ranger series. Pokémon Ranger: Shadows of Almia changed up the mechanics from the first Pokémon Ranger to include Hit Points to make the game a bit more accessible. In this one you travelled through the region of Almia with a variety of partner Pokémon in order to stop Team Dim Sun from their evil schemes. This game also allowed you to send a Darkrai, a Riolu and a Manaphy Egg to your main series games. Following that, in 2010, a third Pokémon Ranger title was released. Pokémon Ranger: Guardian Signs was based in the land of Oblivia and had you with a partner Pichu go through the land to stop the Pokémon Pinchers. This game had you call on Pokémon using various signs drawn with the touch screen to use their powers, including flying on Latios/Latias over the Oblivia Region. It was also unique in that it is the only Pokémon Ranger game with a multiplayer aspect having you go through various dungeons with friends. It allowed for you to send Deoxys, Heatran, Shaymin and Manaphy to your Generation IV games as well. The first Wii spin-off title was Pokémon Battle Revolution. Pokémon Battle Revolution is an offshoot of the Pokémon Stadium series and featured a massive amount of places to battle with your Pokémon from Diamond & Pearl, essentially providing a Battle Frontier for the Wii by having facilities which change up how you battle. It also featured the first place you could battle random trainers and the first time you could fully customise your trainer. My Pokémon Ranch was a small download title, the first WiiWare Pokémon game, which allowed for you to store up to 1,000 Pokémon from your Pokémon Diamond & Pearl games and interact with them using your Mii. You could have a variety of animations with the Pokémon and even save screenshots. An expansion for Pokémon Platinum was also released in Japan, but never made it to the west. Pokémon Rumble is another WiiWare game which had you play as Toy Pokémon. Using these wind-up toys you went through a variety of areas defeating other toys, collecting more, and then participating in large Battle Royales. This game could be played in multiplayer. It has since spun-off and has three sequels across a variety of formats. Next up is the Japan exclusive Pokémon Mystery Dungeon titles, Pokémon Mystery Dungeon: Keep Going! Blazing Adventure Squad, Pokémon Mystery Dungeon: Let's Go! Stormy Adventure Squad! and Pokémon Mystery Dungeon: Go For It! 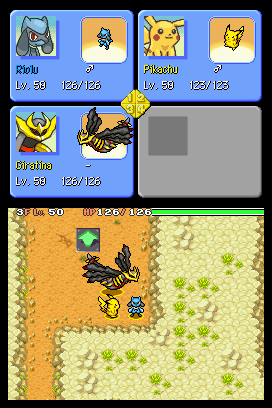 Light Adventure Squad were three interconnected Pokémon Mystery Dungeon titles. Individually, they only had a third of the available Pokémon, but if you bought all three you'd be able to go through all the dungeons to find all 493 Pokémon. Finally, another full Wii retail release came. PokéPark Wii: Pikachu's Adventure was a 3D Action/Adventure title that had you play as Pikachu as you explored the PokéPark lands and battled/raced various Pokémon. In addition to the bulk of the story, it also had a dozen mini-games to compete in with the various Pokémon you befriended in the game. The Trading Card Game continued on through Generation 4 with a variety of new cards. These cards continued with some of the mechanics from Generation 3, but also introduced a fair few new ones. As the cards added the seemingly useless Levels back onto the cards, it introduced a special kind of card called Pokémon Lv. X, which was played on top of the existing cards and could use the moves from the standard version. It also introduced the Pokémon Prime aspect around HeartGold & SoulSilver which were just some powerful & rare Pokémon cards. Finally, it introduced another new concept, LEGEND cards. These cards came in two parts and you needed both cards in order to play it onto your bench. As we approach September 2010 in our retrospective, the fourth generation of Pokémon comes to an end. This generation is one that brought Pokémon back following the mediocre reaction to the previous one. With various evolutions of classic Pokémon as well as online features, Diamond & Pearl will forever keep a place in people's hearts. While it wasn't as revolutionary as the past three generations, its impact will be felt throughout Pokémon's future. Gen 4 is the one I spent the most time with, and it was the one I was able to share the most with friends. Even though I remember gen 3 more fondly. Unless I missed it, you forgot the underground. Man that was some of the most fun multiplayer shenanigans I've ever had. It was so fun to send my friends on wild trap rides and make base mazes while we tried to reach that 50 flag rank, or whatever. And I never knew about the move mechanic change. That's interesting. One more thing...if I remember correctly, you couldn't get half of the evolution extentions until you beat the elite four, right? That was a funny one. Ah. Probably the worst generation in Pokemon franchise, in my opinion. 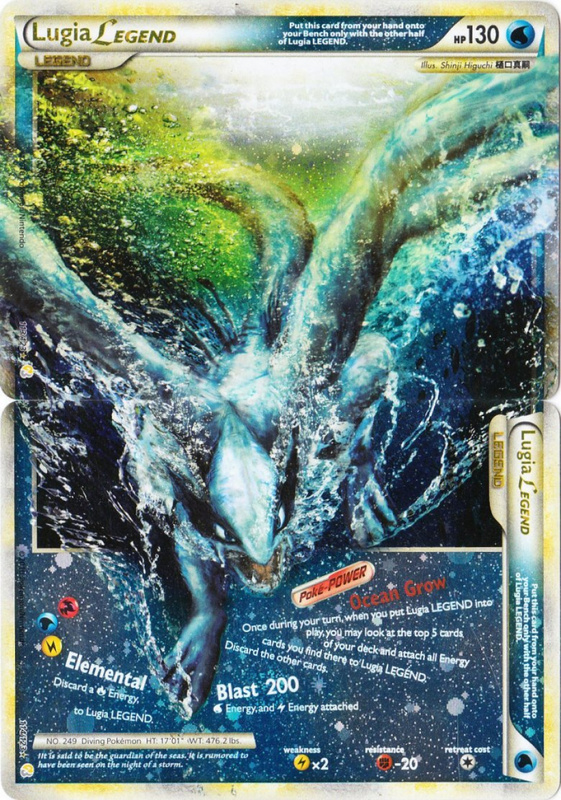 Yet, it introduced the superior remakes of 2nd gen, added Physical/Special split to the moves, kawayoo artworks fluorished TCG illustrations... And that Lugia Legend double card. I know almost nothing about pokemon, and I'm yet to play any of the games. However, I really love the starters for Gen 4, probably the coolest evolutions since the original Kantos starters. My favourite generation, followed closely by 3. I could easily type as much as you have there Serebii on why it is so, but I feel like that's always a futile exercise when people refuse to budge from their favourites. Certainly, the physical/special split, the addition of online and the tons of great new Pokemon are undoubtably great things to come from gen 4. I really enjoyed all of the main-series games of Gen 4. The games brought (in my opinion) the biggest and best region yet, and introduced several new Pokemon. However, this is the generation when the anime seemed to become a bit boring. Also, I stopped collecting the cards for the TCG in this generation because I didn't like the lazy card designs. But overall, great main-series games. I'm looking forward to remakes of Diamond/Pearl. Ah yes, generation 4 aka the beginning of Pokemon's descent into meh-ness. The whole physical/special split was jarring at first, but is also probably the only good thing to come out of that generation along with wifi features. Dawn is my Pokegirl of choice. Ah the nostalgia. Its my most beloved generation. Everyone was into pokemon. That where the good times. Already waiting for the remakes. The pinnacle of the series IMO. The games are some of the highest quality and most polished games of all time. It is, though, the generation that set things RIGHT. First with retrocompatibility and the National Pokédex being acknowledged from the get-go, then with a Johto-esque region, and finally with the awaited return of Johto, more beautiful than ever. It wasn't just a step forward after Generation III; it was a huge leap! Man, these games defined my childhood. Don't hate me cause i'm a millennial but these were the first Pokemon games I really properly played. I had Ruby but didn't really understand it at the time. Even though I went back and played the older ones later, I still think that HG/SS and Platinum are the best Pokemon games and some of my favourite games of all time. I was kinda introverted in Primary school so these games are mostly the reason I have friends. They noticed I liked Pokemon and I got talking to them. The wireless connection room place in Platinum was where I spent most of my time, trading and battling with my newfound friends. The first main series pokémon game I bought was Pokémon Pearl. Starting with my trusty Piplup (which is currently residing with me in my Hoenn party as an Empoleon) I began a journey which I still continue to love to this day. Also have to just point out my love for serebii.net which I've used ever since I first stepped out of Twinleaf Town. Keep up the great work! Maybe I'm wrong here but I'm pretty sure that Snorlax's pre-evolution is Munchlax not Deoxys. @firstnesfan Munchlax was revealed in the Pokémon movie starring Deoxys. Diamond and Pearl were so slow in movement and battle system, that it drove me crazy. Though I loved the region, touchscreen features, and the online modes. Though it gave us Platinum (the best 3rd game ever)! Ah...Generation IV, I know it is far from the popular opinion, but I adore Gen. IV. Of course...that might be, because my very first Pokémon game from Gen. IV Pokémon Diamond, which I received fittingly enough, on my 10th birthday back in 2007. There are a handful of games I can say changed my life, Diamond certainly did. It was the first major JRPG I ever played, or beat, I was engrossed with the game and the story like no other game before it. Diamond is why I am not only a Nintendo fan, but a handheld fan, an RPG fan, and a fan of one Serebii.net Pokémon Explorers of Time is another hugely important game, and remains one of my favorite DS games. Definitely still the best Mystery Dungeon game (and I really still need to get Sky...maybe next year after I'm done with Super...) Oh and Shadows of Almia often doesn't get quite as much love, but I really enjoyed it, but not to the extent of Time and Diamond. So the end all to take from this, Gen IV, it wasn't so bad, and for me...it remains one of the most important and cherished period of my childhood. Gen 4... This has to be my least favorite Generation of all. And I only say that because it has my least favorite games. 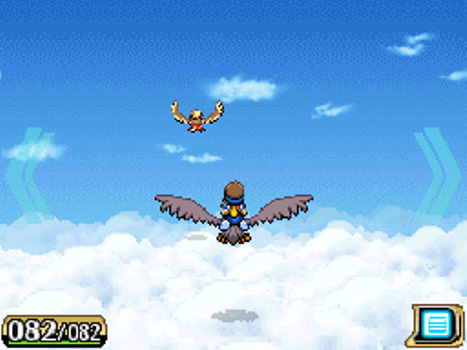 Heart Gold and Soul Silver were nicely polished, but they still aren't my favorite. Diamond and Pearl were terrible though. Granted it did add some nice features like online and physical/special diversity, some of the decisions made were terrible. Not being able to get the new evolutions until after the elite four? Only having two fire types before the elite four? I barely made it through this game. Though I hear Platinum fixed those problems. I did like the underground and whatever that was on the bottom screen though. Those were definitely neat. Gen Four? More like Gen Bore, nah i'm kidding but it is my least favorite of the series. Gosh, gen 4 was awesome. So many memories. I just love Platinum so much, can't way to go back to Sinnoh again. I had a lot of fun with Battle Revolution too. 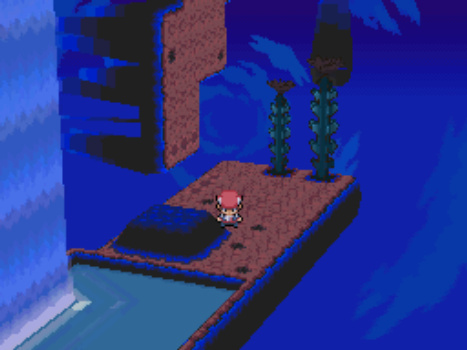 The first time I saw the trailer with a Pikachu using Discharge at the beautiful Waterfall Colosseum... wow. In my mind, that game is as gorgeous as we see Pokkén now. And Mystery Dungeon, what a great story. @HandheldGuru97, you should really play Sky, it's so good! Generation Four is a mixed bag for me. Main series wise the physical and special split was amazing. On the other hand though it had in my opinion the worst region (which doesn't mean it was bad but compared to the rest it was not as good) and as a whole the Sinnoh games felt slow and not really well paced. It was the first time we had wifi in the series but at the same time like a lot of Nintendo games at the time it was not that great and felt clunky. Heartgold and SoulSilver were excellent remakes though and easily the highlight of generation four. With the anime though it seemed to have a lot of filler (which the pkmn anime as a whole has a lot of I just remember the Gen. 4 anime having a lot) I liked it for the most part. My favorite parts of it was Chimchar (and future evolutions) with/against Paul and the character development of that. Spin offs were mixed. Basically all the ones on the wii were meh at best but the ds fared better. The Ranger series was fun but my favorite spinoff till Conquest were the PKMN mystery dungeon games. That game had so many memorable moments. @Samuel-Flutter They did indeed. The Sinnoh Dex was expanded in Platinum to include all of the post game cross gen evolutions as well as a couple of other assorted Pokemon and fixed DP's distribution problems. And that was the only major flaw in DP, so Platinum is near perfect. I couldn't care less about Diamond and Pearl, but Platinum fixed almost every problem I had with those games and is probably one of my favorites. Platinum was faster, better paced, better balanced, a bit harder, fixed a few issues with the writing for slightly better characters and story, and felt a lot more polished. @KTT I thought Gen 5 was the worst and Gen 4 being 2nd Best. I thought this gen was never going to end when it was going on. Pokemon Pearl is easily my favorite Pokemon game. Man, that game is amazing. Gen 4 will always hold a special place in my heart. You see, I was basically born alongside Pokémon. But it's hard to explain for a 4-years old kid that you have to train and be patient to have success in rpgs like this one. So I had my dad basically play it for me (like with all other games around that time because I was just like that overall). I am really fond of Gen 1's anime, though. And while I still had Crystal and Ruby, I didn't exactly play them all that much. But during Gen 4, something just ... snapped in me: I bought, finished and completed my first rpg and one of my favorite games of all time - Blue Dragon. Tales of Vesperia followed and also became one of my favorites. My love for rpgs (mainly j-rpgs, though) was born. And after a few months, I remembered the lone Platinum Version that was collecting dust on my bookshelf. I picked it up - and my true life as a Pokémon Trainer began. Nowadays, the thing I hated about Pokémon the most as a kid, is easily my favorite thing about rpgs - just running around, beating up everything I see and just be basically laid back. 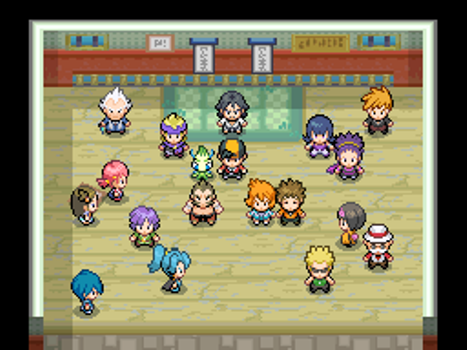 I've spent afternoons after afternoons just watching tv and train my Pokémon (that's also why I didn't like Colosseum and XD so much - there just weren't that many routes where you just moved in a circle (or rather square ) for hours and trained your pals. Plus, they were console games so you couldn't exactly watch tv while doing playing those games). That's while I call Platinum my favorite Pokémon game. However, I do call Gen 5 my favorite because that was the first generation that I witnessed getting developed, saw new Pokémon being revealed every now and then. That's just something special, at least in my opinion. Gen 4 is my least favorite. It felt cheap for a DS game. Previous Pokemon games have felt like they took advantage of the hardware the best they could while retaining the 2D image. This one did not and it feels ugly. They filled out the DS a lot nicer with Gen 5, including better UI and fully animated sprites. I hear a lot of hate for DP, but I really have a soft spot for G4. G3 was my first, and Sinnoh for me just felt so fresh, so new. The element of mystery that surrounded the legendaries like Darkrai and Giratina made the region feel like it was never truly solved, and the elements like underground Sinnoh (which I want to come back one day) and smaller sidequests like the unknowns for stickers (or stamps, I always forget what they were called) made it feel like there was always something to work towards. Granted it was slow at times, the rival was a bit annoying in places and Arceus was going a touch far, but I still treasure my copy of diamond, and play it even recently. @JesWood13 Each to his own. To me 2nd and 5th generations are equaly good. I consider them the best in the franchise. This is probably the one gen I still don't have as much investment in, far as the mainline goes — of the "sets", this is the oldest I haven't beaten one of, and past it only Black 1 so far. This was also around when I stopped keeping pace with the animu. Compared to the sharped-edges impressions I have of the RSE designs, the DPPt feel bulbous, and so a bit more manufactured for me. I'unno, hard to put impressions into words, especially if as you look more into what you're describing, you pick up more nuance and potentially lose what gave you that impression in the first place. I was my least favorite despite the good add ons like some legendaries, abilities, moves, items and the competitive. But a lot of lore that was just bad, pokemon designs were quite disgusting not far from Gen 5, like Gen 3 a lot of "What do I do?" moments and "How do I get there? ", pretty much no Fire types until Plat-Ver making Chimchar a choice for typing reasons, weak and unmoral story, not a lot of characters did anything, Cynthia is only liked because of her design and theme, but she did nothing, like in the Distortion World all she did was potato when she's so much better than you che could just do everything herself. Just a lot of missplays in this gen. This through b/w totally lost some fans, but also gained a ton for the competitive scene. Pokemon Rumble came out of it so that's also good. 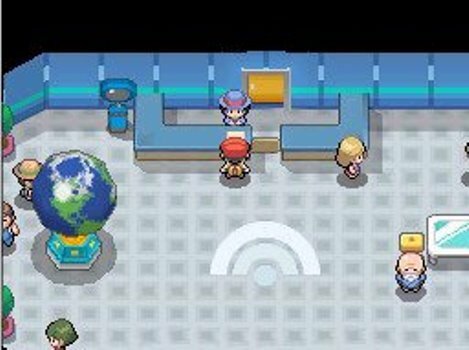 Diamond and Pearl weren't a proper improvement visually, but the fact that you could finally battle and trade online was a revelation. Something you don't notice at first, but had a huge influence on the gameplay was the fact that each move was now assigned special or physical individually, instead of each element type. This made some of your favourite Pokémon suddenly useless and some of the mediocre ones turned out to be beasts when imported into Sinnoh. I disliked the Battle Frontier was removed, but they brought it back in Platinum. The weird Distortion World in that game made the climax at Mt. Coronet that much more interesting, especially with the new Giratina form at the end. And then came HeartGold and SoulSilver. My God, this is a textbook example of how to do a proper remake. Gold, Silver and Crystal were my favourite Pokémon games to begin with, but this version makes the game even better. There are new areas, including the Safari Zone which had to be scrapped at the last moment in the GBC original, there's a bit more storyline and it even carries over many of the little additions added in Crystal, including the Suicune side-quest. The DS touch screen is implemented much better than in the Sinnoh games as well, allowing for gameplay that's a little more streamlined. The Kanto postgame is also much better than before. Many things cut from the originals, like the basement on the Seafoam Islands, the cave in Cerulean City and the forest south of Viridian City have been put back in place, as well as all the Red, Blue and Yellow legendary Pokémon. It just feels like they went the extra mile to correct the issues of what was already a terrific game. Add in that little box of win that turns the music into the old 8-bit version and you have what is still my favourite Pokémon game. To me, this generation was backwards. The 1st introduced us to this fabulous world of Pokémon. The 2nd one brought up our hypes and delivered with 'everything new'. The 3rd generation brought strong change not just in the games, but also in the Trading Card game (from Wizards of the Coast to Nintendo-) and even in the producing more spin-offs. The 4th generation seems mediocre and largely derivative to me. The 4th generation is where I truly feel the series peeked. While I'm not a fan of some of the Sinnoh Pokemon designs, and Diamond and Pearl had odd design choices (later fixed in Platinum), the mechanics were absolutely perfect, and Heart Gold and Soul Silver are prime examples of what I think any developer should strive for in terms of quality remakes. Post story content in the 4th generation main series games was great, online Wifi Battles in full 3D in Battle Revolution on the Wii was incredible, and easily the best Mystery Dungeon crossover in the series. My favorite generation. Spent over 250 hours in platinum back in the day when all my friends all had pokemon games. Amazing memories surrounding all the games in this generation. "This breathed new life into the franchise. In this, they also introduced the Global Trade Station that let you put Pokémon up for trade looking for certain other Pokémon, and random players could trade you theirs. This is a feature that still lasts to this very day." And "g" wifi standard. Why they didn't include it in Ds Lite? Making unprotected/lame protected wifi connection to play online? Not to mention I didn't find Sinnoh overly interesting to explore.